When snow is deep, movement over it is pretty much impossible without big feet. Our ancestors recognised that, and copied animals like the aptly named Snowshoe Hare, who have big, furry feet. Our extremities like fingers, toes, ears and nose - the very ends of our warm blood's circulatory system - can get dangerously cold if we don't wrap them in warm layers too. 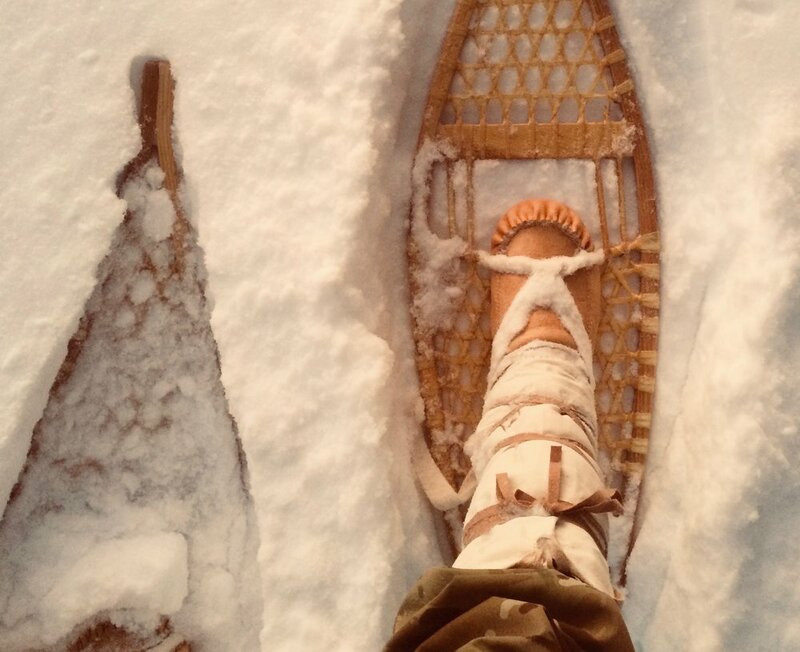 I wanted to have a go at making the old-style items used by people in the past to traverse deep snow and stay warm, so I made some mukluks and snowshoes. 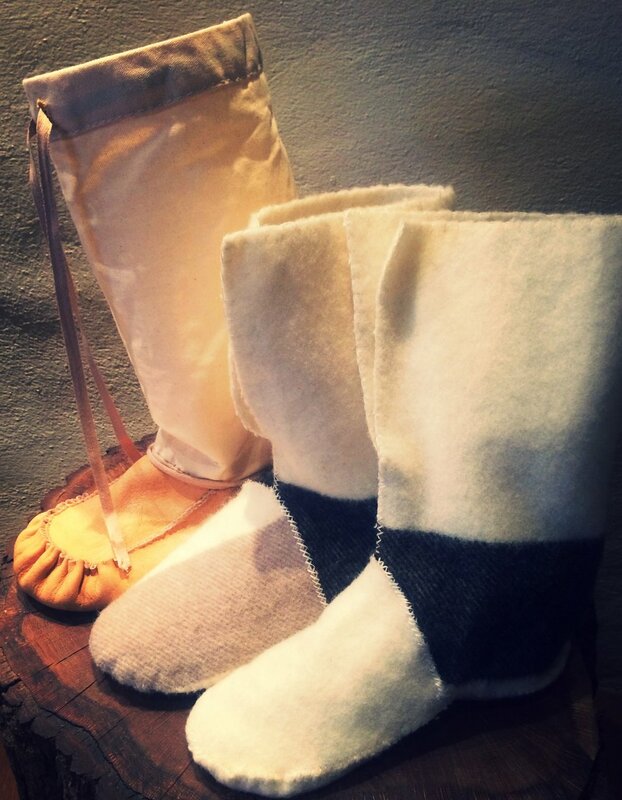 The mukluk liners are two layered wool, cut from a Hudson's Bay blanket (no relation - I don't think, but they are made in my family's old home town). I based the design of my liners on one in the Canadian History Museum. The outers are made of moose hide and canvas, and I got the bits from Dave and Kielyn at Lure of the North, again in Canada. These shoes are super comfy and warm, even at -30 Celsius that I wore them in (and I'm sure a lot lower too), the critical thing with clothing in really cold climates is for it not to be too tight that it restricts your circulation. 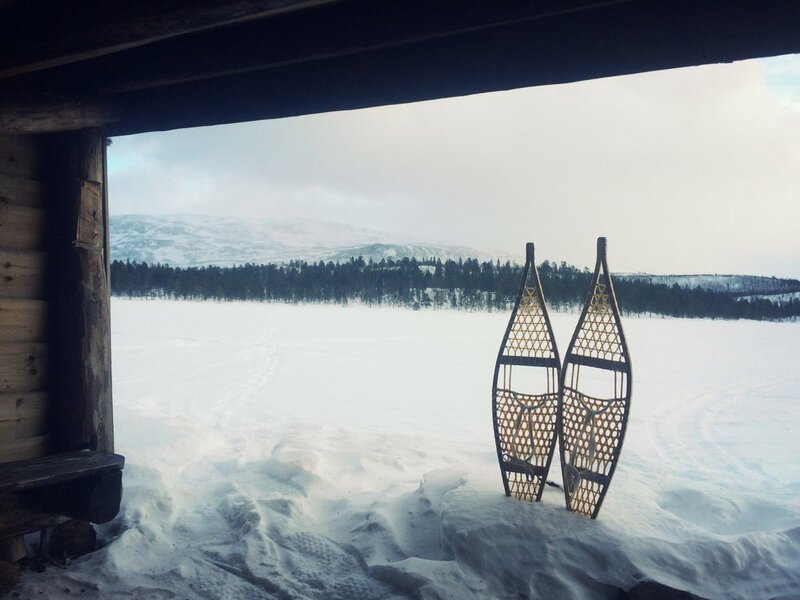 The snowshoes themselves took longer to put together than the mukluks, but in combination they were a real pleasure to use. The Ojibwa style I chose went great across the frozen lakes of Northern Norway, at the very top of Arctic Europe, but were a bit trickier on the gradients of the portages in between. Route selection was the key there. The bindings were simple cotton strips that allow my heel to raise as I walk. 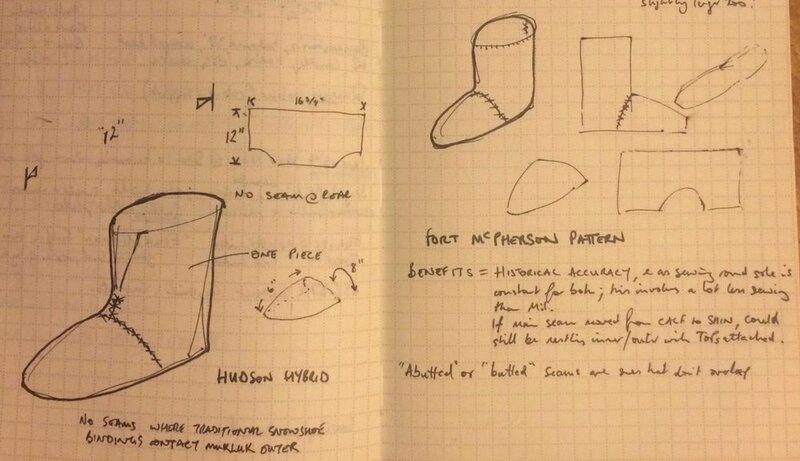 With kit like this, which you can make for yourself, you can access remote wilderness at any time of year, just like the pioneers of the past did.